As forecast, the fast reaching conditions have been replaced by lighter south easterly airs and after a steady 24 hours, the five-boat fleet racing in Leg 6 of the Volvo Ocean Race to Miami has split. 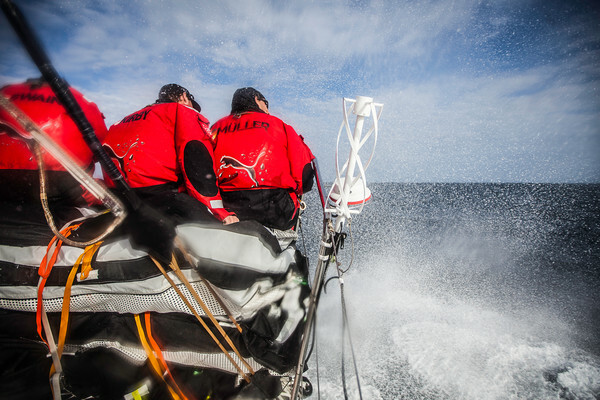 At 1900 GMT tonight, leading the pack in the north west are CAMPER with Emirates Team New Zealand (Chris Nicholson/AUS), who are doing their best to shake off their newfound opponent, Abu Dhabi Ocean Racing (Ian Walker/GBR), just 1.5 nautical miles (nm) on their hip. PUMA Ocean Racing powered by BERG (Ken Read/USA), in third, have taken the middle road, while out to the east are Team Telefónica (Iker Martínez/ESP) and Groupama sailing team (Franck Cammas/FRA) with 37 nm lateral separation from the leader. 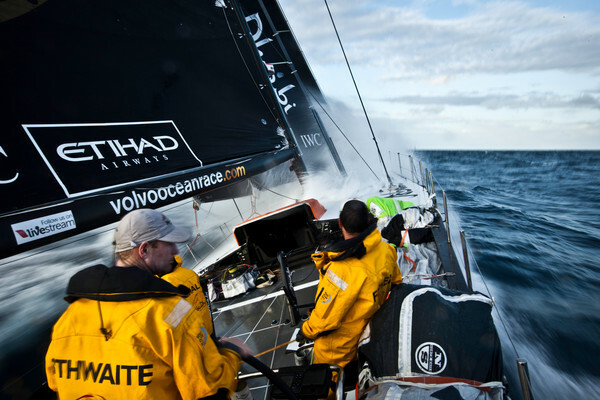 “We’re dead equal speed with those guys,” said Chris Nicholson, referring to second placed Abu Dhabi Ocean Racing. Nicholson believes Walker’s boat has a bit more righting moment than CAMPER and he is waiting for a nastier seaway in order to leave Walker’s men behind. CAMPER is 91 nm offshore of Rio de Janeiro, the Brazilian city that has hosted the race on five occasions. 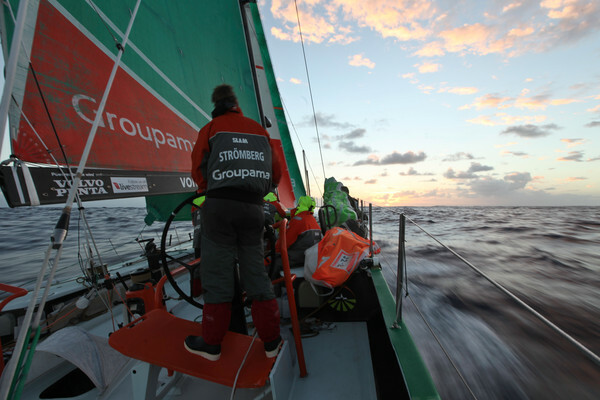 Telefónica and Groupama are following a different strategy and are heading away from the Brazilian coast, expecting to avoid the fickle winds inshore, as well as the adverse Brazil current, and arrive at the trade winds in pole position. PUMA is sitting neatly between to the two groups of out riders. 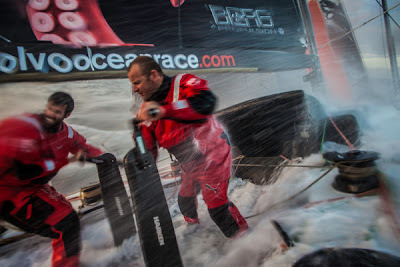 “It’s potentially quite variable,” skipper Ken Read said about the conditions. 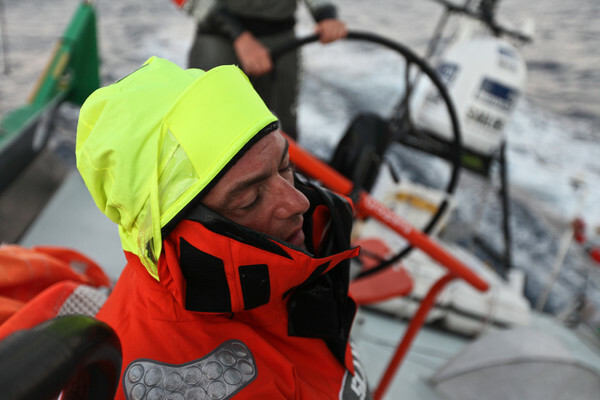 “Nothing is quite set in stone, that’s why we’re not putting on the blinkers and heading offshore. It’s quite changeable, I don’t know that anyone is 100 per cent sure what is going to happen here." Although just 24 nm separate the fleet from first to last, the complicated weather could well result in big differences in the deltas between the boats as they approach Cape Frio 114 nm ahead and the next two days are crucial as the fleet approaches the south east trade winds in frustrating light airs, reaching the fresh breeze possibly on Thursday.